There are a lot of services that have come up in recent years all of which are designed to provide a level of photo storage and/or to provide you a way to “back in time” to see pictures that were taken n-number of years ago. And it’s fun, right? I mean, who doesn’t dig seeing what they were doing, tweeting, or sharing a year, two years, …, or 11 years ago? Such is what the Internet has brought us. There’s a lot of options out there for this – some are free, some are paid, some require Facebook for authentication – some do part of what I wanted, some do other parts of what I wanted except for Picturelife. It does it all (that is, all that I want). 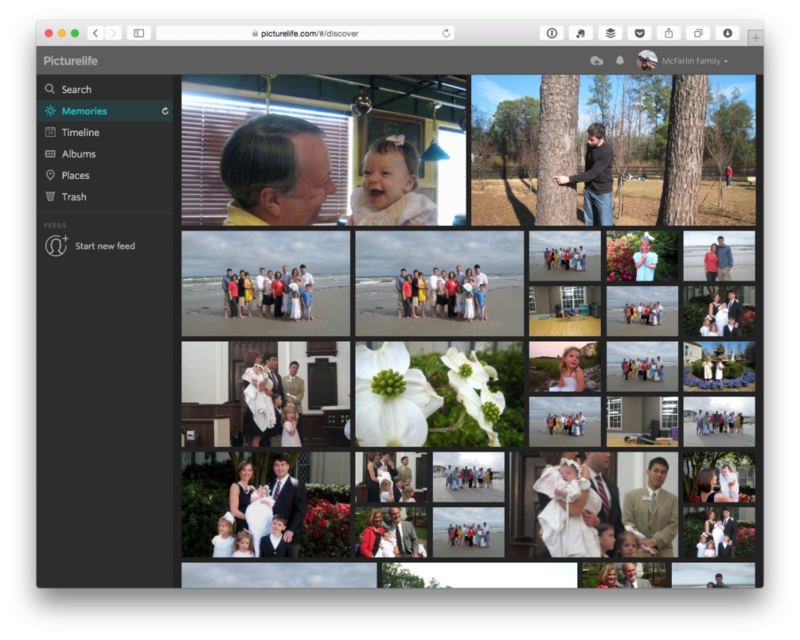 In short, Picturelife has been the ideal solution for me because it’s a pay-for-service that offers an unlimited plan, and it also provides all of the above features, as well. On top of that, the iOS counterpart does not feel like an afterthought. Instead, it’s a first-class citizen of of the service and it’s obvious to anyone who uses it. On top of that, the iOS app will allow you to automatically upload everything from your camera roll to Picturelife, and since iOS does such a good job with the EXIF data on photos, you basically don’t have to do anything else but let the pictures upload. All in all, it’s a really neat service and the fact that they have a pay-for option means that if someone comes along with an acquisition or some type of investment funds start flowing, then it’s not going to all be up and lost if they opt to change the direction of the company. Finally, if you’re not up for paying for the unlimited plan, it’s really easy to get extra space by referring people to the service. Of course, if you have photos from over a decade ago, then finding a way to make sure they’re properly stamped with the right date and time on your local machine takes a little bit of extra work. That’s where the Better Rename 9 app comes into play, but I’ll cover that later.